There’s something ever-appealing to me about fantasy-action films. The good ones don’t take themselves seriously and are pure fun, and the bad ones are so deliciously campy that it’s hard not to love them anyway. 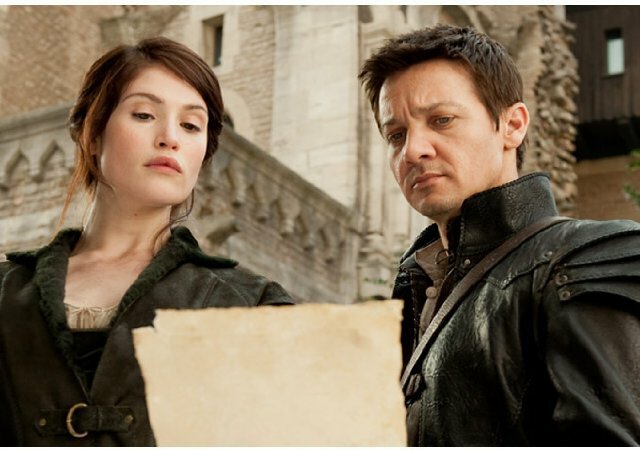 “Hansel & Gretel: Witch Hunters” is in the first group. It’s silly almost to the point of being deranged at some points (someone explain to me how they made insulin injections in the middle ages, please), but the leads are so engaging and the story so fast-paced that it’s easy to just sit back and take the ride. The film starts with the familiar story: a man wakes his small children in the middle of the night, takes them out in the woods, and abandons them. They find a witch’s cottage, are nearly eaten by her, and manage to stick her in her own oven instead. There’s an added twist in this version: the witch’s magic doesn’t work on them. As the opening credits roll, we see a very cleverly-animated montage of “Lost Child” posters and the slowly growing-up Hansel (Jeremy Renner) and Gretel (Gemma Arterton) defeating witches and rescuing children. The main quest of the film involves a village where nearly a dozen children have been taken in just a few weeks. When the sheriff (Peter Stormare) proves unable to find them, the mayor brings in Hansel and Gretel. The siblings are now adults, and their lives have led them to be violent, direct, and completely unimpressed by authority (Gretel shuts up the obnoxious sheriff by headbutting him and breaking his nose). They soon discover that something very big is definitely afoot, and they only have a few days to save the children before the local witches use them for a massive ritual that could spell the end for not just witch hunters, but all of humanity! If it sounds a bit overwrought, well, it is — and that’s part of the fun. Hansel and Gretel are two deeply practical (and foul-mouthed) action heroes in the middle of a medieval scenery-chewer’s convention. Famke Janssen has so much fun playing the lead wicked witch that she’s practically giggling with delight in half her scenes, the siblings’ local fanboy Ben (Thomas Mann) is straight out of an eighties movie, and Stormare’s portrayal of the sheriff is reminiscent of a thunderstorm. Meanwhile, Arterton and Renner are direct, given to the occasional low-key one-liner, and far more interested in stopping witches than being popular with — or even friendly to – the locals. Between “The Avengers” and “The Bourne Legacy” Jeremy Renner is starting to really take off, and it’s well-deserved. He’s a talented actor with a light touch, and I sincerely hope that most critics’ inability to just have a good time at the movies won’t trash his career. He and Arterton make a good team, too – she makes Gretel a believable action heroine, and walks the line between ridiculous and awesome with aplomb. What really makes the film work, for me, is the chemistry between them — they really come off as a brother-sister team who are incredibly close but in a familial rather than romantic way. Of course, a film like this is almost inevitably going to have some things in it to make those of us with any education in history, fantasy tropes, or feminism shake our heads in disappointment, and “Hansel and Gretel” does is no exception. I can overlook the anachronisms, but the tired “bad people are ugly and good people are pretty!” trope needs to be burned at the stake. I was hoping to make it through the film without any women having to die for the sake of the plot (known in the comics community as “fridging”), but no such luck. Apparently the only way a strong male character can change his mind is if a lady dies proving him wrong. But really, even calling those out feels like complaining that Pop Tarts aren’t made with organic ingredients. You don’t go to a movie like “Hansel & Gretel: Witch Hunters” for progressive entertainment, you go to see violence, awesomeness, and pretty people – and in that department, it delivers thoroughly.